How to build a loft bed with stairs | DIY projects for everyone! Are you trying to maximise space in children’s bedrooms? Loft beds are one of the best solutions to get the most out of available space in a small bedroom. But they come in many different versions, all having features that will suit the needs of the owner and fit the room better. 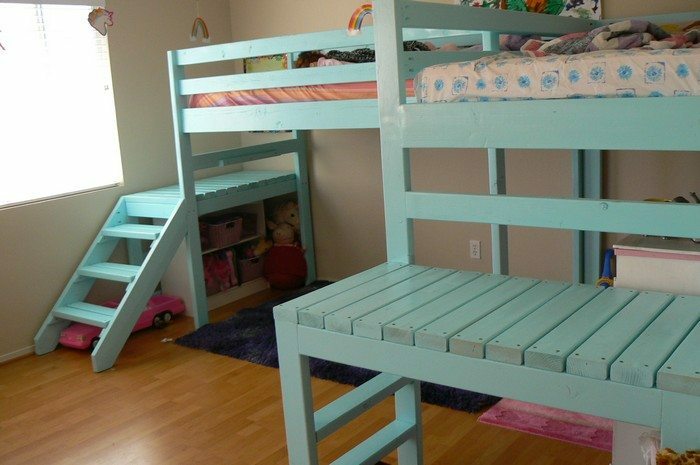 If you are still trying to find that perfect bed design for the kids, here’s one kind of loft bed that might just be what you are looking for! This DIY loft bed has stairs that doesn’t go all the way up to the bed. 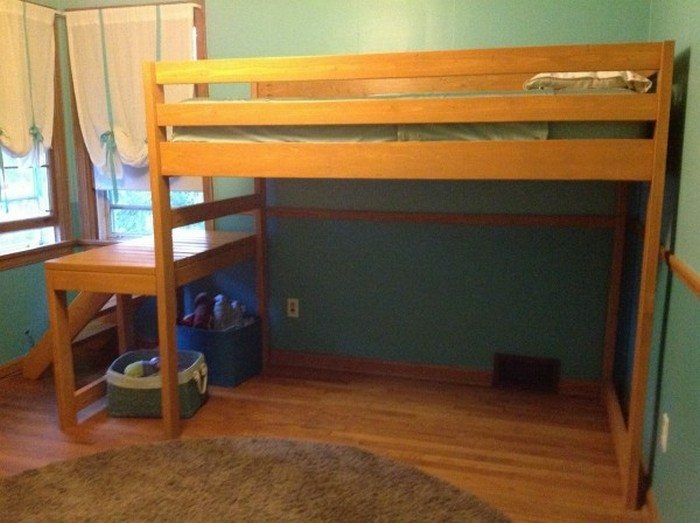 A landing is provided instead, where the kids can climb their bed from. 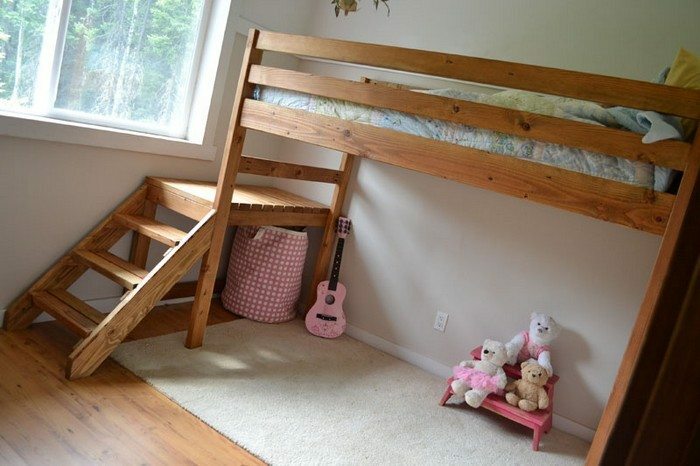 This loft bed design is great for parents who are not comfortable letting their kids climb a steep stair (ladder). With its short stairs and landing, kids are safer from falling from a high place. If you’ve got more available space, you can even extend the landing so that it can serve as a reading nook or a ‘balcony’ for when your kids are playing. Just make sure to add railings! 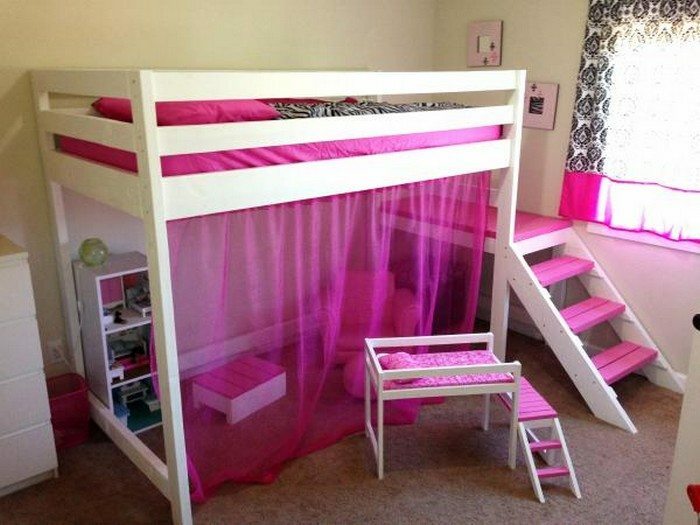 Have a close look at a few examples of loft bed with stairs from our album below to get some more great ideas!